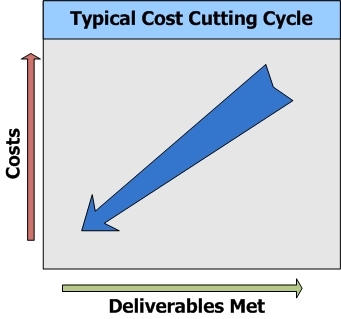 Many companies are tasked with cutting costs. The two most common approaches to cutting costs are putting requests on hold and/or reducing head count. In both scenarios there is a significant loss in deliverable produced. 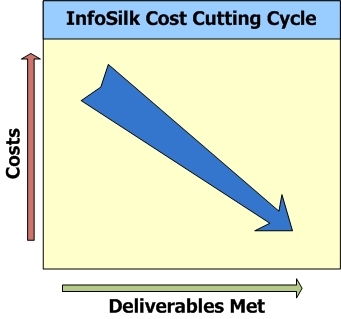 With InfoSilk, we took a more intelligent approach to cost cutting. By using application design patterns techniques we analyzed what are the key elements of a great Web Report. In addition we analyzed where the most time is taken in development reporting. Armed with this research we produced InfoSilk whereby using database metadata and drastically reducing development specifications, IT departments can create a high quality Web Report with a powerful self-service user interface without programming. Now, instead of reducing deliverables, you can deliver higher quality Web Reports and drastically cut costs at the same time. We believe this approach makes a compelling case for introducing InfoSilk into your company.